Some people may get glum around certain times set aside for celebration (i.e., the broken-hearted are usually none too happy on Valentine’s Day); however, we hope this week, National Teacher Appreciation Week, gives everyone a reason to celebrate. Here at the OEP, we’re reflecting on Cindy Barker, a 9th grade geometry teacher at Fort Worth Christian in Fort Worth, TX who made proofs fun and understandable with her wit. We are also thinking about John Sanders, who taught AP English at Greencastle Antrim High School in Greencastle, PA and took a chance introducing his class to Albert Camus and existentialism. More locally, we are thinking of Kim Boyd at Eastside Elementary in Rogers, AR. These individuals impacted the lives of our OEP Staf, and served as models to us in our own work within the field of education. 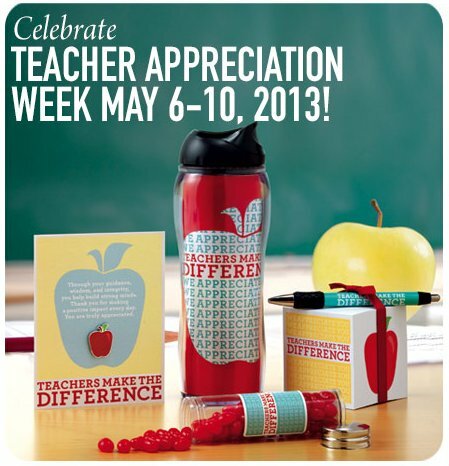 You can learn more about Teacher Appreciation Week on the NEA website. They are even promoting a Twitter hashtag: #ThankATeacher. We would like to see your own tweets for National Teacher Appreciation Week with this hashtag show up in our OEP Twitter Feed. Although we are going to be a bit late, we at the OEP will be showing our appreciation of teachers and all the work they do at this year’s OEP Conference when we hand out OEP Awards Certificates to the top performing schools across the state in the various categories recognized in our Annual OEP Awards. These awards are earned through teachers’ hard work and dedication to student learning, and we appreciate them everyday for it! (you can see the schools earning awards at this year’s conference by clicking this link). We hope you will be able to join us for the OEP Conference at the Peabody/Marriott in Little Rock Wednesday May 15, 2013. The cost is FREE and we have set up an online registration page where you can quickly and easily register. Attendees will get a rundown of the bills passed in the most recent legislative session, an update on PARCC testing (related to Common Core implementation) and the new TESS teacher evaluation system. We will also have presentations of research…and a keynote panel chaired by John Brown III discussing student achievement beyond math and literacy. Of course, we will wrap up the day with our ode to teachers…and schools…and administrators for their hard work ultimately leading to their school earning an OEP Award. Click here to view a more detailed schedule for the OEP conference and be sure to follow the registration links on the page! !